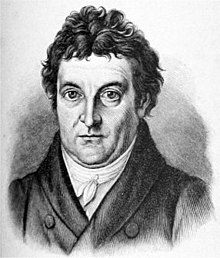 Johann Gottlieb Fichte (/ˈfɪxtə/; German: [ˈjoːhan ˈɡɔtliːp ˈfɪçtə]; May 19, 1762 – January 27, 1814), was a German philosopher. He was one of the first philosophers of the movement known as German idealism. He died of typhus in Berlin. This page was last changed on 25 August 2018, at 04:45.